The Handmaid’s Tale has definitely made a name for itself. The second season of the show was a huge success, and Hulu immediately decided to renew the show for a third season. This just goes to show how much faith the streaming site has in The Handmaid’s Tale. 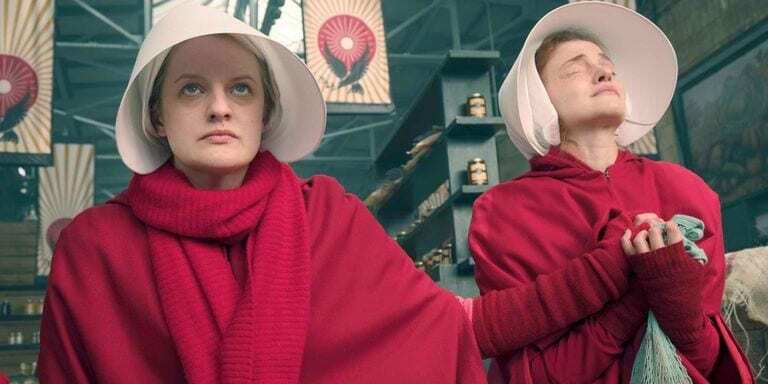 Hulu doesn’t release the viewing figures but, it is estimated that the second season of The Handmaid’s Tale doubled the audience from the first season. The show has also become the first show from a streaming service to win the award of the best drama at the Emmys. I think you get an idea of amazing the show actually is. The first two seasons of The Handmaid’s Tale have aired in April. So, we are expecting the third season to follow suit and to premiere in April 2019. The third season will have thirteen episodes just like the second season. Bradley Whitford as Commander Lawrence. There were doubts regarding the future of Ann Dowd after her character Aunt Lydia was attacked by Emily. However, the showrunner Bruce Miller has confirmed she will be back. The show boasts a rating of 8.6 on IMDB and an astounding 92% on Rotten Tomatoes. The show is actually pretty awesome, and you definitely check it out. The story of The Handmaid’s Tale is set in a miserable future where a woman is forced to live as a concubine.